본 연구는 이미지 검색을 활용한 쇼핑 서비스가 새로운 검색 광고 플랫폼으로서의 잠재력을 가지는지의 여부를 평가하기 위해 현재 국내에서 시범 운영 중인 쇼핑 검색 서비스에 대한 반응을 이용자 측면에서 분석하고 어떤 변인들이 서비스의 수용 의도에 영향을 미치는지 실증하고자 하였다. 이를 위해 통합기술수용모형(UTAUT)에 근거하여 도출된 4개의 요인－성과 기대, 노력 기대, 사회적 영향, 촉진 조건－이 기술 태도와 수용 의도에 미치는 영향과 더불어, 혁신 성향, 설득 지식, 신뢰의 조절 효과를 가설화한 후 온라인 설문 조사를 통해 영향 관계의 유효성을 검증하였다. 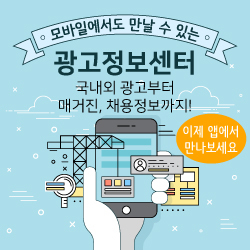 분석 결과, 지각된 유용성인 성과 기대와 준거 집단의 기대에 부응하려는 노력인 사회적 영향이 기술 태도에 유의한 영향을 미쳤고, 촉진 조건은 수용 의도에 유의한 영향을 미쳤다. 또한 조절 효과의 검증 결과를 통해서는 설득 지식과 신뢰 변인의 조절 효과만 유의하고, 혁신 성향의 조절 효과는 유의미하지 않은 것으로 나타났다. 이 같은 연구 결과를 바탕으로 이미지 검색 기능이 갖는 검색 광고 도구로서의 가능성을 논의하고, 신유형 검색 광고의 도입에 있어 고려해야 할 실무적 함의를 도출하였다. This study aims to analyze user responses to the image search function, which is connected to mobile shopping service. Based on the Unified Theory of Acceptance and Use of Technology (UTAUT), this study assessed the effects of performance expectation, effort expectation, and social influence variables on attitude toward the technology and behavioral intention to use the technology. In addition, moderating effects of innovative propensity, persuasion knowledge, and trust were verified. Our results confirmed the significant effects of performance expectation and social influence variables on attitude toward the technology, as well as those of facilitating conditions on acceptance intention. It was also revealed that the moderating effects of persuasion knowledge and trust were statistically significant, whereas that of innovative propensity was not significant. Based of these results, the potential of the image search function as a new tool and platform of mobile advertising has been proven as positive. Practical implications from our results also suggest that such an attempt can be further helpful to consumers, small businesses, and portal sites that provide search results.